This cloud based medical billing service is at the top of the industry in terms of technological utility. AdvancedMD is one of the best in the industry at embracing and implementing all of the most current and effective features in their software package. The key word here being “package” because their offerings extend far beyond simple medical billing software. They offer a package that includes practice management products and electronic health record software. The billing segment of AdvancedMD specializes in taking over the billing so your company doesn’t have to worry about the minutiae of following up on claims. They also take responsibility for secondary and follow-up claims. The cloud hosting of Advanced MD’s software means zero downtime, even in the event of updates or local hardware issues. This also makes your data accessible easily from a wide variety of devices and locations. Their integration with their own software internally also provides advantages if you subscribe to multiple services offered by the company, as data is shared between applications automatically. The primary drawback to this particular company is that implementation is complex and may take days to weeks. The main drawback is that you often have to learn the software in depth before finding out how to customize it for optimal functioning in your unique practice environment. I was looking for something that would be perform well for urgent care with several US based locations. Everything went pretty ok with the sales staff of AdvancedMD and they were supportive. The migration to AdvancedMD was what our office actually expected. We use CM and the EMS applications work pretty good, but the way we have it set up is we have all of our medical office locations under one key, which makes it a considerably more complicated for us to do our reporting. 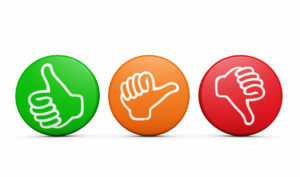 At any rate, we love and still recommend AdvancedMD. Totally Customizable notes for office and fields. Excellent customer support. 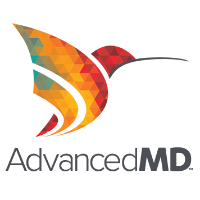 Purchasing the medical software from AdvancedMD was a good experience. My boss had me contact them using email and within just a few hours of asking for my information, a helpful person contacted me. Then within 10 days, our software was fully in place. The sales reps were very informative and helpful all the way. They acted professionally at all levels and answered our questions to satisfaction. They continued to contact our office me after the sale to make sure we were happy, had no problems, and got what we expected. We have the full service and it’s user-friendly. Their solutions adequately serves the needs of our office patients and medical staff. It’s very good for tracking, billing, and our collections. It’s a great software and we recommend AdvancedMD to everyone that is searching for a new PM or EHR setup. I have never been so frustrated with EMS software. I am doing so much more work than I was before I purchased this EMS software.